Heavy gauge steel construction for storage of materials that are not compatible with plastic. 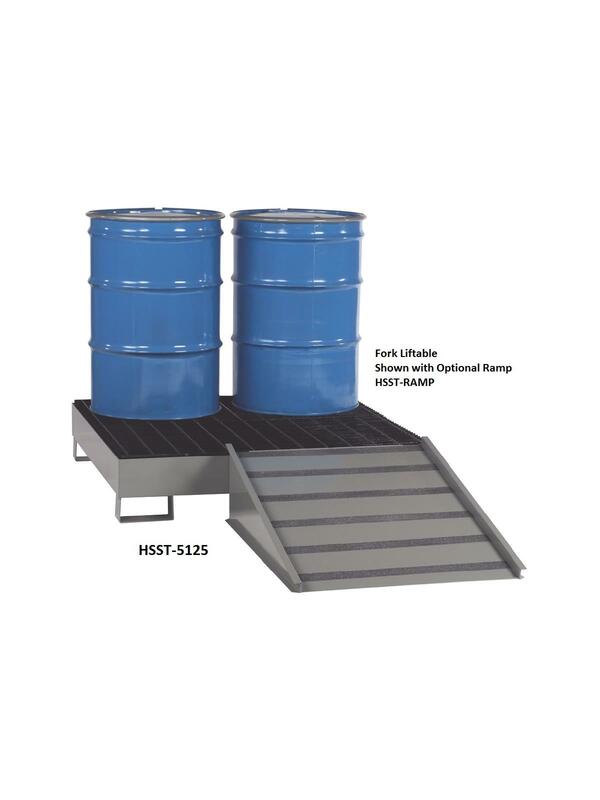 Sumps and ramps have durable powder coated finish. Welded bar grating can be removed for cleaning. 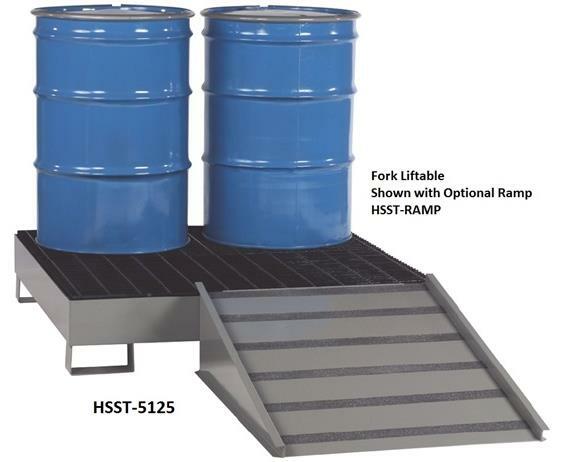 Fork Liftable Ramp optional. FOB Shipping Point.